We're delighted to welcome all of you who are now part of the resistance. Help defend our democracy by getting active with INCO! We're glad to have you with us. 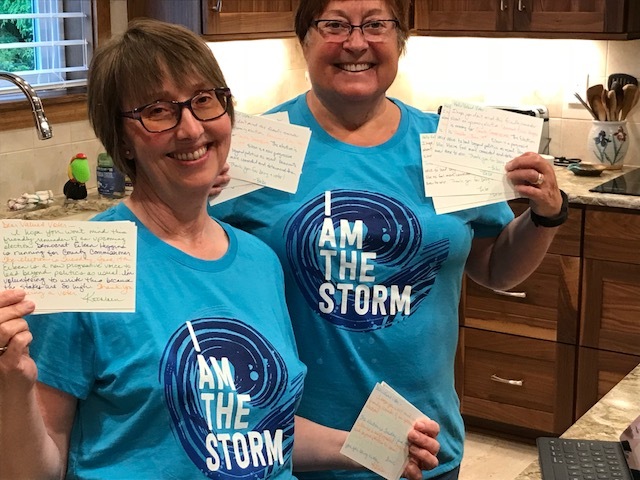 Get your own "I Am the Storm" t-shirt, like Bebe's and Kathleen's. Order online here. INCO t-shirts in S, M, L, XL, and XXL will be available soon! Check upcoming newsletters for details. OR-2: Jamie McLeod-Skinner is running for Congress in District 2 to unseat the incumbent, Trump-enthusiast Greg Walden. For the latest events and information follow her on facebook at Jamie McLeod Skinner For Oregon. WA-3: On Aug. 7, Washington voters will decide who’ll oppose incumbent Trumpster, Republican Jaime-Herrera-Buetler, in November. 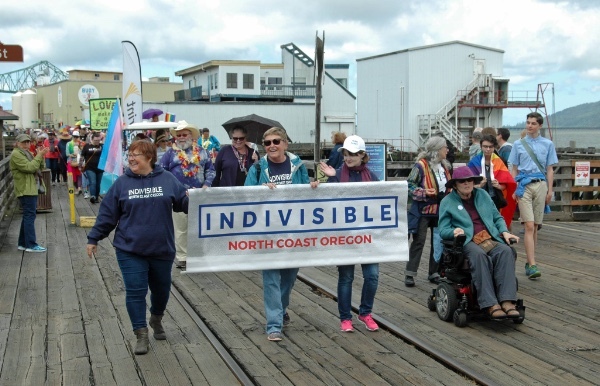 As part of our #StormTheMidterms effort, Indivisible North Coast Oregon is collaborating with #RiseAndOrganize to get out the progressive vote in Pacific County. Meet at the Ocean Park Library at 1 pm on Saturday, June 23, for a brief training session before we head out. No experience necessary. Bring a friend if you like (and a smart phone, if you have one) and help us #StormTheMidterms! Email debvanasse (at) gmail.com for more information. Sign up here to be part of INCO's Storm the Midterms team. Important actions you can do at home, from your kitchen table, at midnight. Keep families together. 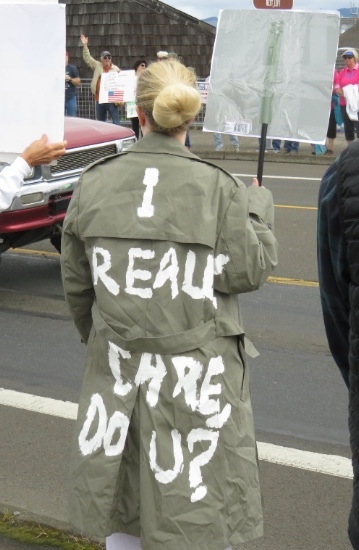 Speaking up for separated kids is helping. New legislation is being proposed. New lawsuits proposed to defend their rights. International human rights groups getting involved. More information here. Aside from the emotional devastation on children and their parents, the administration's family separation policy will have long-term consequences for the US. • Protect all Americans. Provide meaningful help for Puerto Rico's recovery from Hurricane Maria. Oppose nominees to be federal judges who fail to support equal rights for all people. Stand with people who need help getting enough food to eat. Stand with your neighbors who endure the fear of hate crimes. Stop the promoting of bigotry and oppression by Trump and his administration. • Uphold the rule of law and protect our democracy. Especially if Trump fires Rosenstein or Mueller or otherwise tries to stomp on the rule of law. More info here. • Demand sensible gun laws. 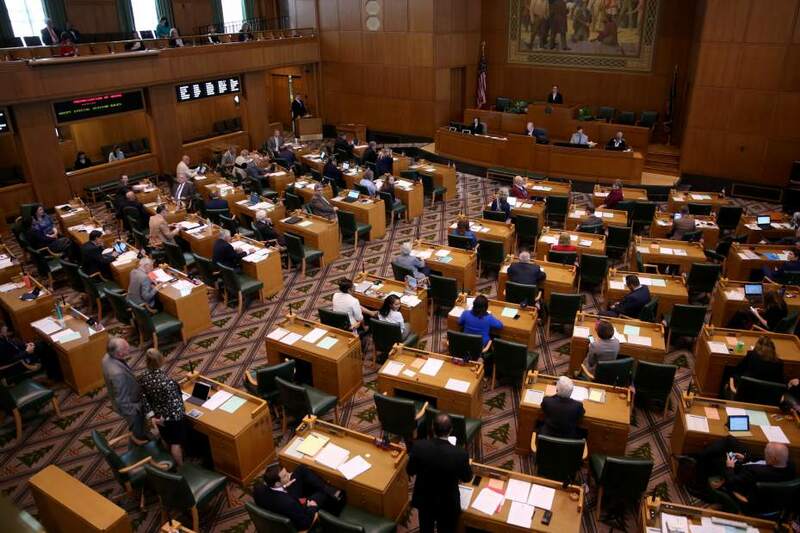 Gather signatures for IP 43, the initiative to regulate assault weapons in Oregon. Sign up here. Indivisible tells how we can support #NeverAgain. Local activists are in process of starting chapters of Students Demand Action and Moms Demand Action. Applause and cheers greeted our Indivisibles - Kathleen, Carmen, Tiffiny, Carol, and Joan- in Saturday's Pride Riverwalk Parade. 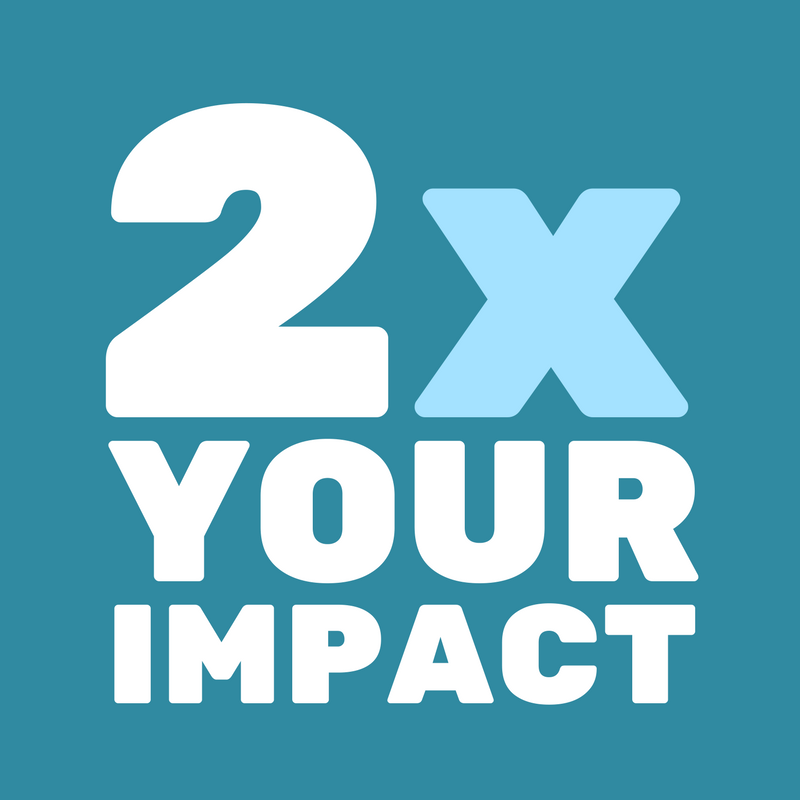 Donate to INCO this summer using our new distributed fundraising link, and your donation will be matched by Indivisible National, up to $500 total. 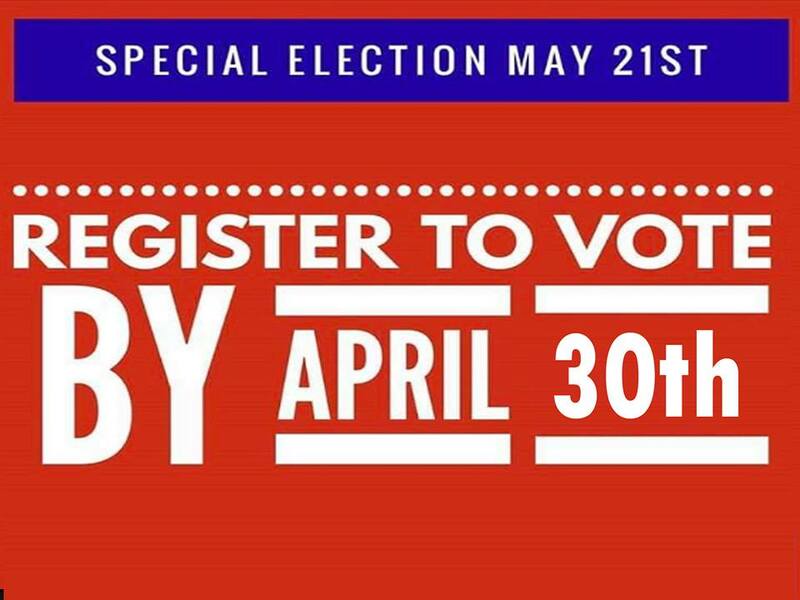 Your gift will help fund our "I Will Vote" essay contest for high school students in Pacific and Clatsop counties and our campaign to Storm the Midterms this fall. Exciting details coming in future newsletters. There is NO party this week. We'll see you June 22 at 4 pm. Wednesday, June 13 - INCO Book Club, 6:30 pm, at Carolyn's in Astoria. Contact cebeady@outlook.com for directions. This month's book is Moral Politics: How Liberals and Conservatives Think by George Lakoff. Either the second edition 2002 or the third edition 2016 works. The author analyzes the unconscious world-views of liberals and conservatives, explaining why they are at odds over so many seemingly unrelated topics. 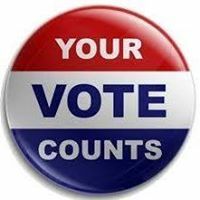 Friday, June 22 - Postcards to Voters Writing Party, 4 - 5:30 pm, Gearhart. Contact Bebe at littlebylittle4change@gmail.com for address. Note the new time. If you can, join us afterwards for food and drinks at the Sand Trap. 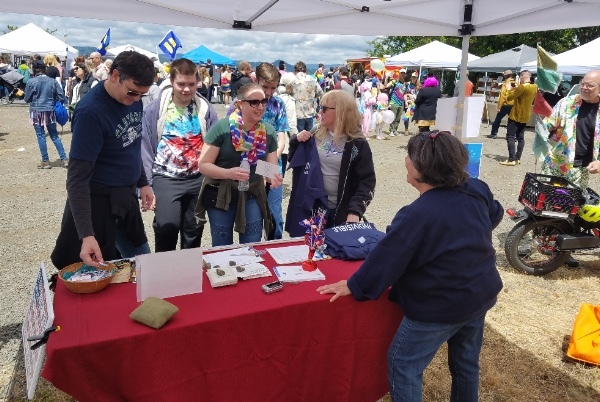 Laurie greeted Melissa and her family and Cindy at the INCO table at Saturday's Pride Block Party. Thanks to Steve, Carolyn, Joan, Sue, Susana, and Wendela for helping INCO be part of such a joyful afternoon. • People like us around the country are running for office, changing politics, and resisting Trump and the GOP. Here's the story that's not making headlines. • Eager for good news? Check out the Americans of Conscience checklist, which almost always has a section devoted to progress in politics and governance. You might need to scroll down quite a ways. Another source for general good news is the Good News Network. • Democracy Rocks! That's this month's article, by Laurie Caplan, in the monthly INCO column in hipfish monthly, available free around our region in stores, restaurants, etc. Thank you, Dinah - hipfish's owner and editor - for your enthusiastic support for INCO! If you'd like to write an INCO column for hipfish, contact Deb at incoregon@gmail.com. • We recommend this practical and friendly online guide to getting involved in politics. It's from the New York Times and overlaps with a lot of what INCO and other resisters do. Check it out! Once upon a time there were four people named Everybody, Somebody, Nobody, and Anybody. When there was an important job to be done, Everybody was sure that Somebody would do it. Anybody could have done it, but Nobody did it. When Nobody did it, Everybody got angry because it was Everybodyÿıs job. Everybody thought that Somebody would do it, but Nobody realized that Nobody would do it. It ended up that Everybody blamed Somebody when Nobody did what Anybody could have done in the first place. INCO has Community Groups in Manzanita-Cannon Beach, Seaside-Gearhart, Warrenton, Astoria-East County, or the Washington Peninsula. All INCO Indivisibles are invited to get active with INCO's Events Team, Oppose Bigotry Team, Vote the Future Team, and Book Club. Contact Laurie at incoregon@gmail.com for more information.